October 25. 2014. The Herald Sun runs the Kickstarter campaign. Look for fliers all around town, too. October 16, 2014. Owl and Zebra Press begins a Kickstarter campaign to fund publication of Devon’s next three novels. Check it out HERE. Campaign ends November 5. October 2, 2014. It’s my second anniversary with WordPress and The Starving Artist. A post–“Writers Is Writers” about David B. Dollar’s new album, “Seafoam“–spikes my blog views from an average of 1 per hour to 31 per hour. October 1, 2014. First advance copy of The Night of One Hundred Thieves arrives in the mail. Still much work to do, but it is always exciting to have the paperback in your hands. September 26, 2014. The prototype cover is revealed for The Journey of Clement Fancywater. Look for the book around Christmastime. September 24, 2014. “To Me, From My Husband Who Can Not Write Poetry” (an old poem from college) is featured in the Editors Picks of the Writing.com Noticing Newbies newsletter. Sorta random and cool. September 9, 2014. 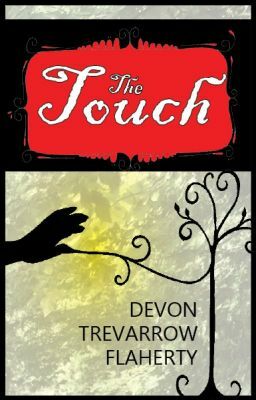 The Touch, Devon’s serialized novel, launches on Wattpad. If you follow it, you’ll get, for FREE, a new section sent to your device every Monday. Pretty cool. September 3, 2014. Devon returns from her personal sabbatical (yay!) and jumps back into finishing-up work on The Night of One Hundred Thieves and a secret Wattpad launch of The Touch. More to come on that. August 11, 2014. Sugarman.org retweets Devon’s review of Searching for Sugar Man. Small celebration dance. July 1-August 31, 2014. Flaherty goes on a two month sabbatical for personal reasons. The Starving Artist blog, however, will be maintained as usual. June 5, 2014. A Flaherty short story, “5.8,” published in the online literary magazine, Scrutiny. Check out Scrutiny here. Read the story here. May 21, 2014. Benevolent‘s new cover goes live, and it looks awesome! From the matte finish to the awards, the new look is sleek and professional and impressive. Get it on Amazon and Barnes & Nobel. April 8, 2014. Benevolent goes rental, with a listing on Scribd. April 2014. Devon participates in Camp NaNoWriMo, pledging to write 50,000 words of The Journey of Clement Fancywater, a new fantasy book concept, by April 30. At day nine, her word count is 15,312, right on schedule. April 2014. Benevolent receives a cover face-lift and takes advantage of the new option to use matte finish. March 27, 2014. Devon has the unexpected privilege of hosting children’s author Todd Parr at her kids’ school. It was an interesting and nice day, and the two authors even shared a laugh about how everyone things they, too, can write. February 2014. Benevolent gets a very mixed review from Reader Views. Deep praise, a little boredom, and looking forward to my next book. ? January 2014. First draft of The Night of One Hundred Thieves is finished and goes to first-first readers. Also, Owl and Zebra Press branches out into imprints and writes its publication schedule which sets all the dates for 2014.